The launch of the Ertz Family Foundation took Zach and Julie Ertz back to their Bay Area roots. Pleasanton, California was the site of the launch event on July 21, where family and friends were introduced to the new mission Zach and Julie have collectively undertaken. Nearly 200 guests were treated to dinner, and party to a silent auction that featured items signed by Zach and Julie, their respective teammates, and friends from around the sports world. 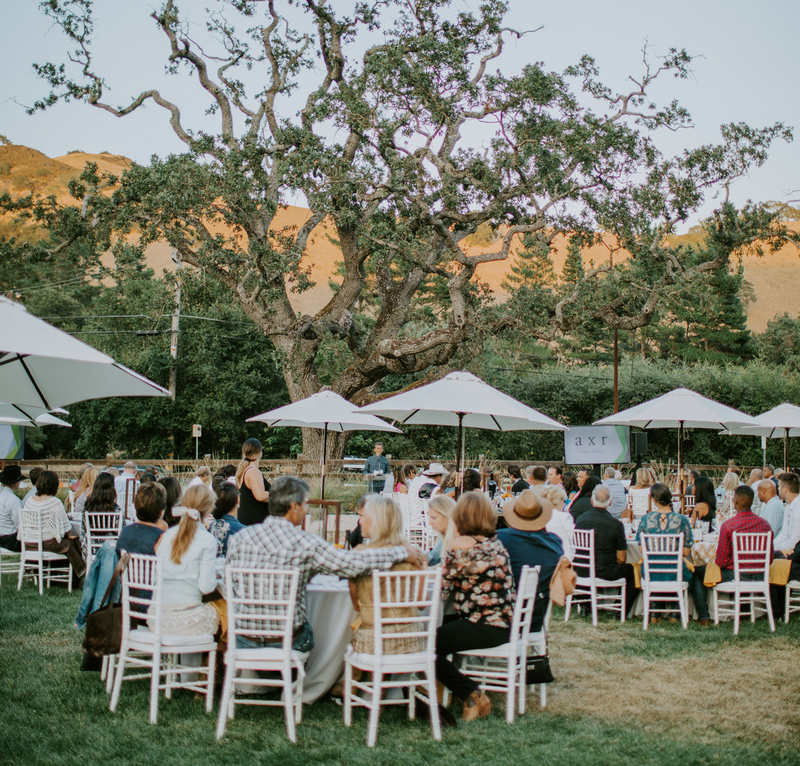 The event was sponsored by Hilton Doubletree’s Pleasanton at the Club, Sophos Capital Management, Mercy Putney Financial Advisors, Starting Lineup School & Sports Attire and AXR Napa Valley. Through the funds raised on that initial night, the Ertz Family Foundation has already begun to make a huge difference, raising more than $200,000 that will be donated to College is Real and Mission of Hope, impacting lives in Richmond, Calif. and Haiti. 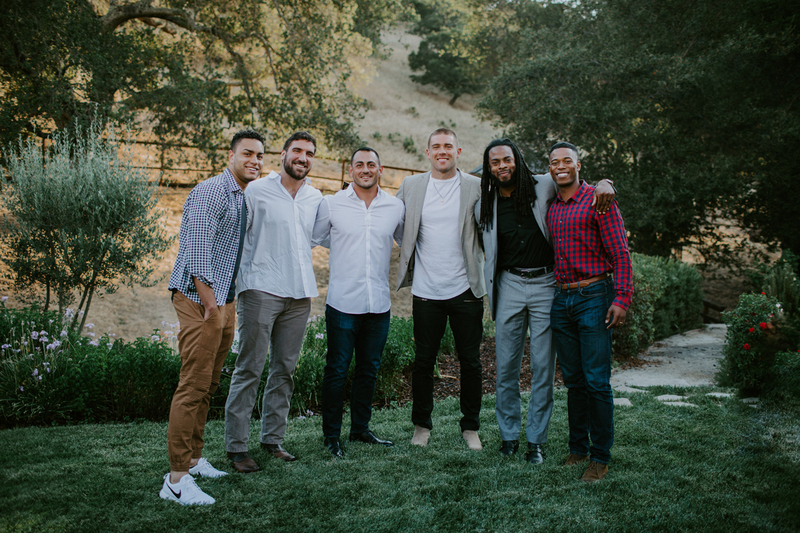 Julie was unable to attend the launch event due to a training commitment, but Zach was on hand and was joined by many of his NFL peers, including a large contingent from his college alma mater, Stanford University. 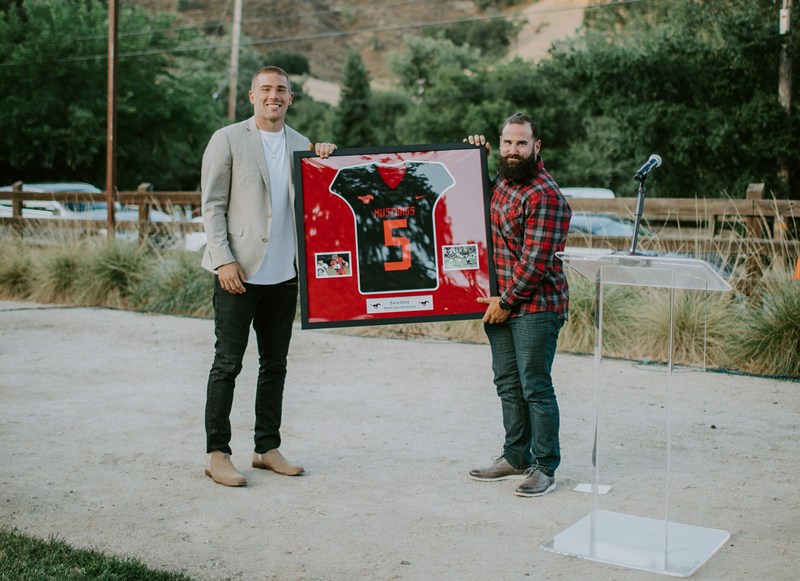 Zach was also honored by his high school alma-mater, Monte Vista High in Danville, California, which presented him with a framed jersey representing the retirement of his number. After their successful Bay Area kickoff event, Zach and Julie are already looking forward to their next event, which will take place in Philadelphia on November 29th. The Ertz Family Foundation is also planning a return to the Bay Area for another event next fall. Check back for details soon and be sure to follow Ertz Family Foundation on Twitter, Instagram and Facebook for the latest!